For the past 25 years, Bruce R. Rothschild, DDS has provided gentle preventative services as a family dentist in Pearl River NY. 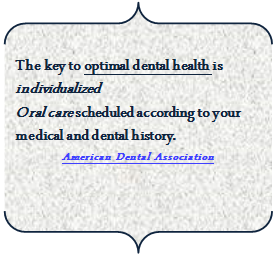 Discover for yourself why so many people make him their choice for all their dental needs. Routine dental exams, periodic dental imaging, and cleanings are the foundation for a lifetime of healthy teeth and a radiant smile. People of all ages trust Bruce L. Rothschild, DDS and Associates, P.L.L.C. when they’re looking for a local dentist in Pearl River NY and surrounding areas to provide these preventive services comfortably in the relaxed treatment environment of their office. People often ask Dr. Rothschild and his staff when children should have their first trip to the dentist….the answer is when their first teeth start popping through their gums. These early visits to the dentist help children get used to the different sights and sounds of a dental office when they are at the height of curiosity, which often prevents them from being afraid when they need to have their teeth cleaned later. As a trusted family dentist, we aim to make sure your teeth get the treatment they need throughout your life. Through adolescence and adulthood, keeping routine dental screenings and cleaning appointments keep your teeth at their healthiest. These exams give Dr. Rothschild and his staff the opportunity to identify the early signs of tooth decay, gum diseases, and other oral health conditions early to provide treatment to prevent the development of significant problems. During these preventative treatments, Dr. Rothschild and his dental hygienist ensure to take every measure possible to make sure you are comfortable and relaxed. This is why we’ve come to be the choice of local residents looking for a family dentist in Pearl River NY they can trust. To learn more about the preventative services we offer as a local dentist in Pearl River NY, contact Dr. Bruce L Rothschild & Associates, P.L.L.C. at 845-623-0305.